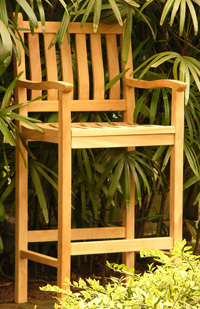 Colton Teak offers a progressive Lifetime Guarantee on teak furniture. We are certain of your complete satisfaction, and as such, we guarantee for the lifetime of the owner against any manufacturing defects. Grade A plantation teak is the strongest and most durable wood utilized in the manufacturing of outdoor furniture; however, unusual wear and tear may result in the need for a replacement part, for which we can provide at a nominal fee. The warranty does not cover damages caused by the effects of normal wear and tear, severe weather occurrences, negligence, misuse, and unauthorized repairs. Please contact us at support@coltonteak.com for additional information.